The passion most Ticos have for football has officials at the Social Security System worried. Last week the Caja issued an order to all doctors at public hospitals to restrict permission for sick days throughout the month. Apparently employees’ health tends to deteriorate during the World Cup. And after Costa Rica’s shocking 3-1 victory over Uruguay on Saturday, the number of workers suffering from World Cup fever might only increase. Costa Rica’s next two matches are on weekdays, starting with Italy on Friday. The executive branch did grant permission for public employees to watch the games against Italy on Friday and England on June 24. (Both matches start at 10 a.m.) The decree applies to all public employees as long as it does not affect essential services such as public health, education or security. For private employees, it all depends on how nice bosses are. 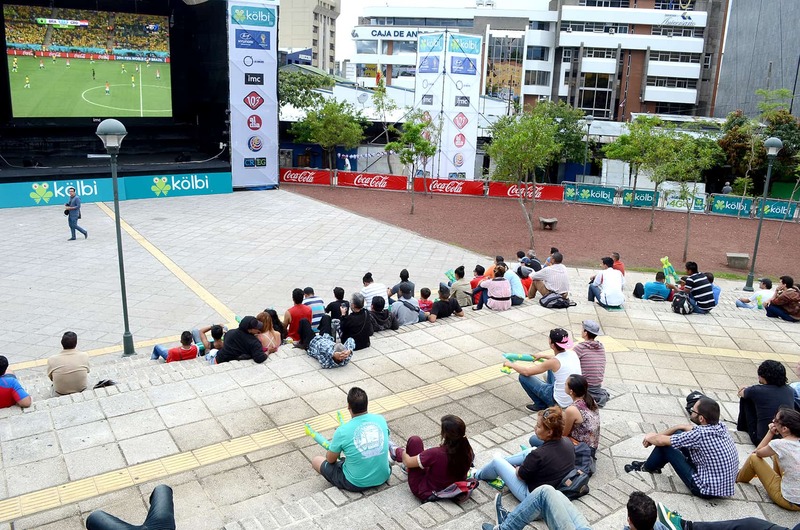 Presidency Minister Melvin Jiménez last week said employers – if they so choose – can rearrange schedules to allow employees to watch the matches. But given Costa Rica’s stellar performance in the upset against Uruguay, forbidding Ticos from watching the next match could lead to workplace mutiny. In June 2010, during the previous World Cup in South Africa, the Caja registered 113,000 sick-day notes – about 7,000 more than the monthly average and the highest figure that year. And Costa Rica didn’t even qualify that time around. Those sick days during the 2010 World Cup cost the public health system ₡3.4 billion ($6.1 million), according to Caja officials. This year, the agency has strengthened controls and instructed all doctors to be meticulous when authorizing sick leave. The warning also was made to private practices that authorize public employees to take days off. The Caja’s 129 medical commissions at public hospitals can revoke any permit issued by a private doctor, and charges will be filed at the Prosecutors’ Office against any employee and doctor found to have committed fraud, officials said last week. The Caja also bans doctors from granting more than two consecutive doctor’s notes in cases of mild illness or unjustified emergency room visits. Jiménez said public workers should rearrange schedules to prevent disrupting public services, and the decree does not allow employees to skip work. Costa Rica’s labor legislation states that employers can fire without liability any employee who leaves work without permission or a valid excuse.